The cruise industry will end on a sad note due to the fire onboard the luxury cruise insignia where two Korean contractors and one Filipino crew member died. There has been some bad news this year but the major highlights have relatively been good thanks to some major new cruise ships and innovations. 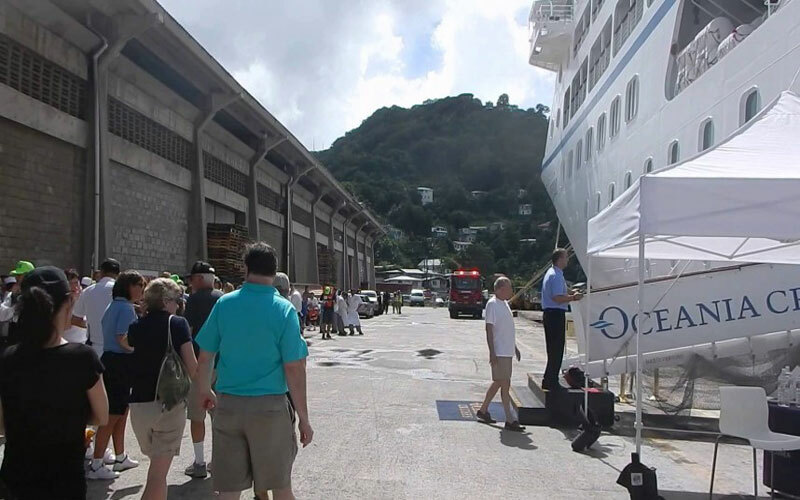 The fire onboard the 30,277 ton luxury cruise ship on the morning of December 11th while it was docked in St Lucia has reminded the industry that safety can not be forgotten and no matter how innovative cruise lines become safety is still just as important than ever before. According to Silver no instructions were given and no one was told what was going on. He said the only way for the over 650 passengers to get off the ship was through a narrow hallway and down a narrow staircase. “You had a lot of elderly people who were carried down by other passengers,” he recalled. Silver said he and other passengers were then herded into a nearby warehouse where they remained for nine hours without water or food as temperatures outside neared 33 degrees. This shows the cruise industry still has a lot to do and passengers should always be careful. It;s always wise to take the evacuation drill and the beginning of the cruise seriously and always listen to the announcements. There have no been several videos on YouTube showing that deadly day onboard the Insignia cruise ship, We’ve put a collection of them together. These videos were taken by user C Andrew who seemed to have been a passenger on the vessel. One of the videos shows an Insignia staff member informing passengers the latest details including food and water being delivered from Carnival Cruise Lines to the warehouse where passengers were being kept. In the Insignia case the captain announced to guests onboard that a fire had broken out in the ships engine room but as a result two contractors and one crew member lost their lives. Also while we’re on the subject of the ship’s crew many of them will be sent to work on other ships within the company and others sent home. That much-needed income for crew members in developing countries will cause them to have a sour festive season. An investigation has been launched by officials including the United States Coast Guard, national Transportation Safety Board and investigators from the Marshall islands which is where the vessel is registered. The good news is that another Filipino crew member who was in Hospital after being injured by the engine room fire was released from the Victoria Hospital. Cruise Hive will continue to update readers as the investigation is now underway. You can also ready our previous report which started the day events unfolded.